Imageepoch-developed PSP RPG finally arrives this month. 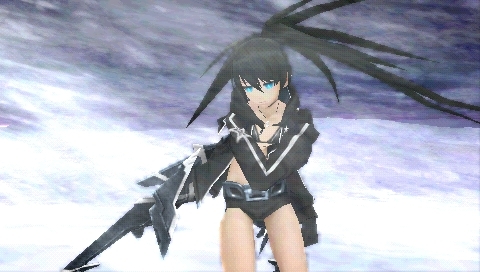 Long-awaited PSP RPG Black Rock Shooter: The Game will hit PSP via PlayStation Network on April 23 in the U.S. and April 24 in Europe, NIS America has announced. Due to licensing restrictions, the game will not be available in Canada, Mexico, and select European countries. Find a story blurb and a list of key features below. View a new set of screenshots at the gallery. Watch two new trailers below.